Parents and Educators- Do you know a 6th or 7th grade girl who is excited about math, curious about science, or just loves to figure out how things work? If so, GE Girls @ Penn State could be for her! 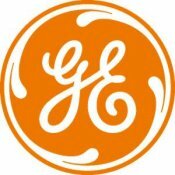 This summer, GE Transportation and Penn State Behrend will team up to provide middle school girls with a unique opportunity available at only a few sites across the country. GE Girls @ Penn State is a week-long, hands-on workshop focused on STEM (science, technology, engineering and math). Twenty-five girls from Erie's Public Schools will discover career paths in STEM fields through activities in robotics, thermal imaging, electronic circuits, chemistry, wind energy and more! Participants will experience a college setting while learning from Penn State and GE experts, and will also be matched with a female mentor from GE Transportation. The GE Girls @ Penn State program will run from Monday through Friday, July 7-11, 2014. There is no charge to participate and bus transportation to and from Penn State Behrend will be provided daily. Please consider the transformative potential of this opportunity and encourage the young girls in your life to apply! Current 6th or 7th grade girls who attend Erie's Public Schools. For an application, please contact Kate Jacobson between April 15th and April 30th.